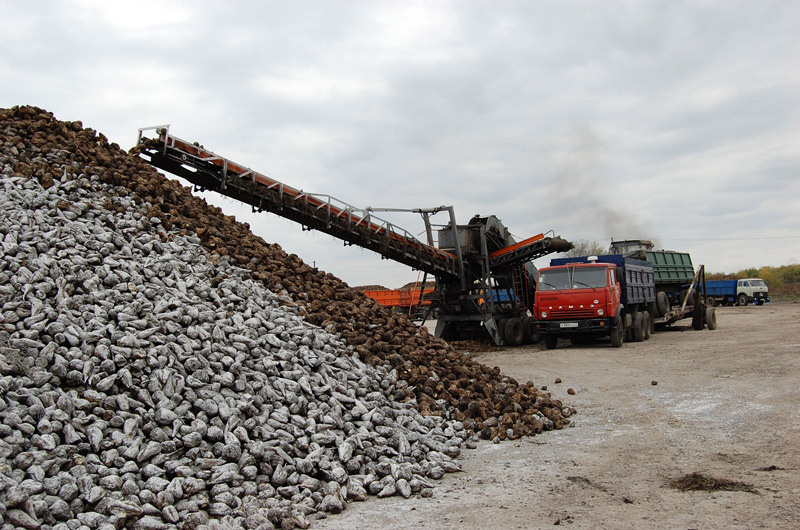 We propose to establish a new, comprehensive program to grow sugar beets for the increase in sugar production and production of ecologically pure sugar in your company. The principles on which the program is based, are universal and the technologies that are based have been successfully implemented in other areas of industry and agriculture. Similarly, the program for the industry in the production of sugar from sugar cane can be customized. The technology allows to extract in the preparation of defecates and other waste of sugar manufacture environmentally friendly products such as pectins, feed additives, fertilizer and very expensive sweeteners etc. In this case, the efficiency can be increased in the production for several times. The cultivation of sugar beet by the new technology will make it possible to reduce the amount of used, conventional, chemical means of protection against pests and diseases during the growing season by 50 to 100%, a higher quality crop with the increase of the sugar content of not less than up 2 to obtain 1.5 times, to increase the yield by at least 30% and which is especially important to reduce the cost of cultivation by around 30-50%. The proposed technology does not violate the commonly applied, agricultural activities and does not require the use of additional, agricultural machinery, equipment and labor costs. 1.1. Decontamination of seeds with intensifying and the application of an integrated stimulator of growth process for simultaneous shoots with an increased percentage of germination with higher germination energy, and all this before sowing. - Disease prevention, pest control (fleas). - Qualitative development of plant leaves and the roots before the harvest. 1.4. The processing of sugar beet production in 2-3 weeks before harvest for purposes of disinfection of root crops reduce their levels of nitrate nitrogen and it happens to intensify the accumulation of sugar in the beet of more than one unit, as well as the increase in dB. Likewise, the treatment promotes a high long-term storage of root crops in stacks with a reduction in the written and unwritten sugar loss in the process of storage and processing, as well as an increase in sugar production. In addition, processing actions of the sheet for the production of animal feed and silage are performed. During processing pathogenic bacterial flora (rot, mildew organisms) and pathogens are destroyed. It is necessary to start the application of the technology at the latest at the beginning of the accumulation of sugar in the beet roots (after the root are reached 30% of the harvest weight). In this case, it is possible to achieve high quality and quantity of the crop. 2.1. Maintenance and improvement of quality indicators of sugar beet after harvest to processing. It is the processing of root crops in stockpiles in beet sugar factories carried out by the loss of weight and sugar to reduce in beets by suppressing harmful microorganisms, as well as to maintaining and increasing of dB. 2.2. Installation of equipment at water intake and water treatment in the lagoons of the wash water transport (if necessary, in the fields of filtering or when draining waste water) to reduce potential loss of sugar during transport of the roots and to support a more stable pH. 2.3. Decontamination of the beet mass and transport of the wash water in the process of transferring (paths, cleaning, transport of root crops for washing). 3.1. These are carried out together with the client of the work for the preparation and installation of water treatment plants in the water intake (feed water) for the diffuser and the basic production for the purpose of decontamination and maintenance of a stable pH. 3.2. Decontamination of sugar beet in the wash cabinet. 3.3. 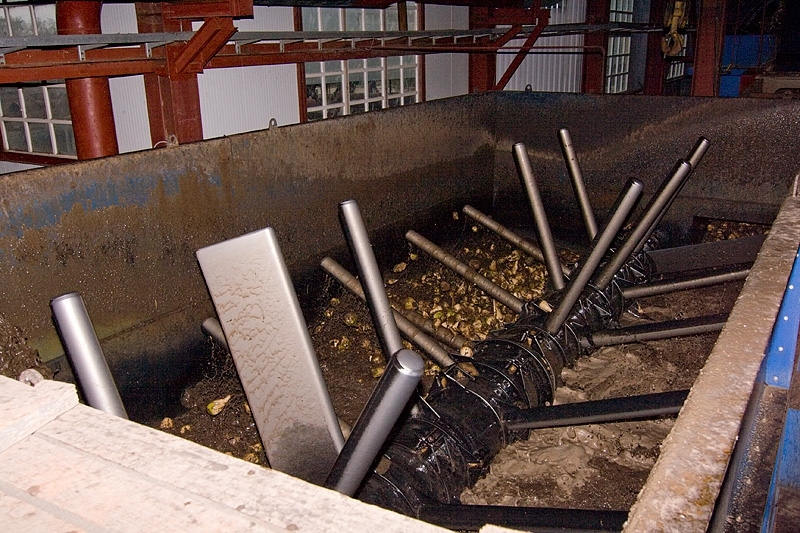 Disinfection of root crops before cutting and after cutting chips. 3.4. Decontamination of the diffuser during the production process with the maintenance of the pH value. The result is an increase in the processing of the material to be cut and the raw juice, at least one unit. The application of new technologies helps the processes in the diffusion device to optimize by sterilizing the voltage juice mixture. This prevents congestion and foaming and ensures a spreading of treated raw juice and the reduction of considered and non-considered sugar loss in the diffusion juice and considered loss in the pulp without using chemicals. Increasing the efficiency of the process of defect saturation. A processing installation of clarification of the diffusion juice gives additional disinfectant effect on the unfiltered and filtered juice, the sediment improved properties, prevents the foaming of the fluids and reduces the content of calcium salts. It reduces the amount of lime, and to take into account losses unrecognized, the filtering in the filtration space is improved. Processing of the evaporator is carried out to ensure the continuity of service from the beginning to the end of the production process. Machining of the housing of the evaporator is achieved for the reduction of salt deposits in the process of evaporation of juices, of the heating surfaces, without the use of chemicals, acceleration of the processes of evaporation (if necessary for the process).In the application of this technology, the service life of filter fabric and evaporator aggregates is increased. 6.1. The processing of the devices in the production department is performed for the intensification of crystallization processes, including the shortening of the time of crystal formation (up to one hour), formation of homogeneous crystals of sugar, reducing the mother liquor, increase the sugar yield up to 1-3 tons per evaporator. 6.2. Disinfecting and maintaining the pH of the second and third fill mass of the product and the agitators. 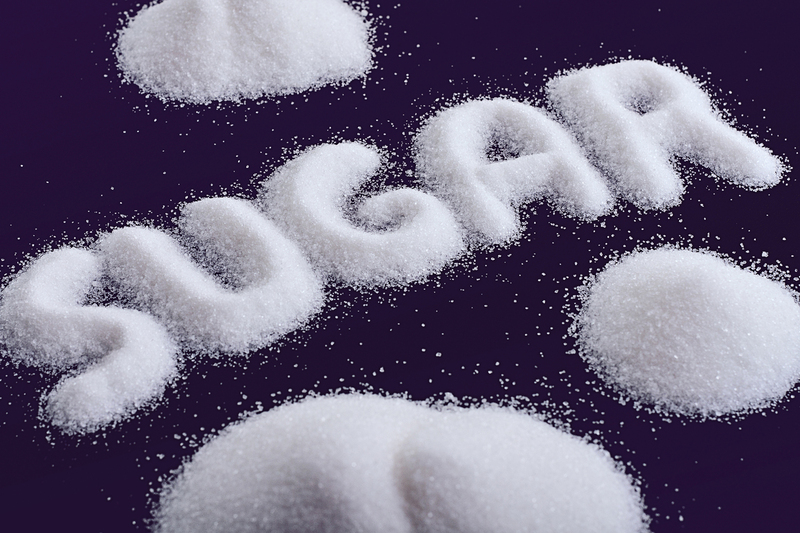 The above activities contribute to the optimization of sugar refinement. This allows additional 1-3 tonnes a vaporizer for the same mass of the processed beets to obtain. - Reduced costs for the protection of sugar beet crops against diseases, pests and for fertilizers. - Increased productivity with an increased sugar content in the roots and reduced content of nitrate-nitrogen and high quality in the cell sap. - In the case of continuation of the work in the production process, the losses can be greatly reduced, because the technology makes it possible to prevent the process of sucrose decomposition and the development of acid-forming microorganisms. - Ensure high quality of the product of the raw juice level to sugar crystallization and the reduction of unaccounted and net losses without the use of chlorine, formalin or other chemicals that are commonly used in the manufacturing process.